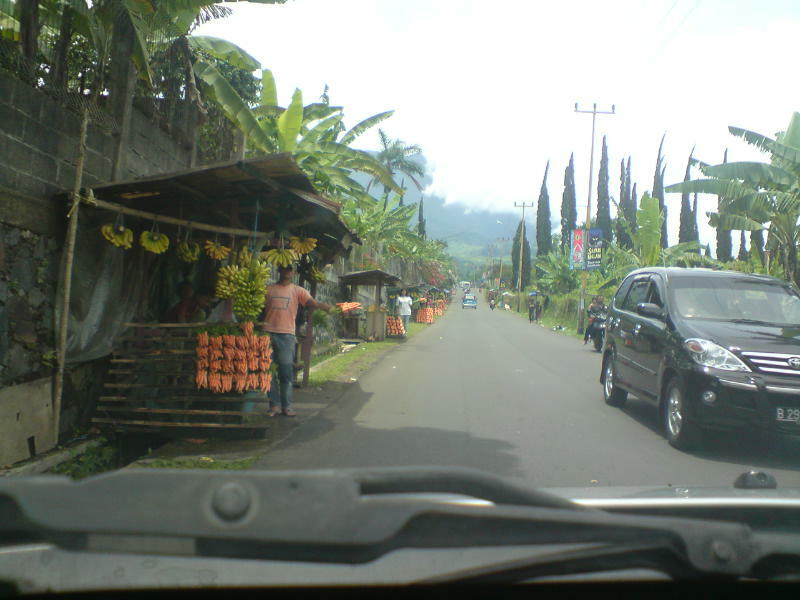 We’re on our way to Taman Safari (animals park) and there are many carrots and bananas kiosks along the way, like shown in the picture. The carrots are small sized, but taste juicy and sweet! And the bananas are delicious as well. There are two kinds of bananas these people selling. The Ambon Lumut is the green and big (about 20 cm in size) ones. And “Pisang Asri”, the yellow and smaller (8 cm in size) ones. And now we’re heading to the park. I’ll post their pictures later..